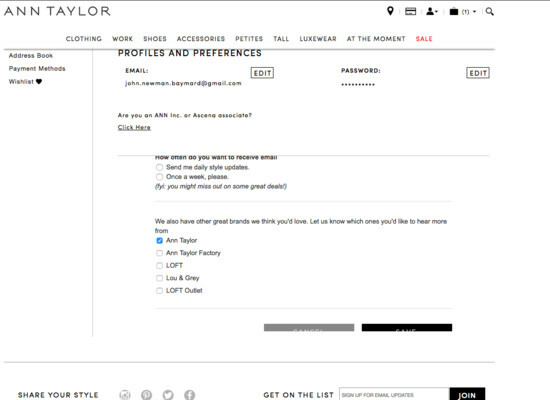 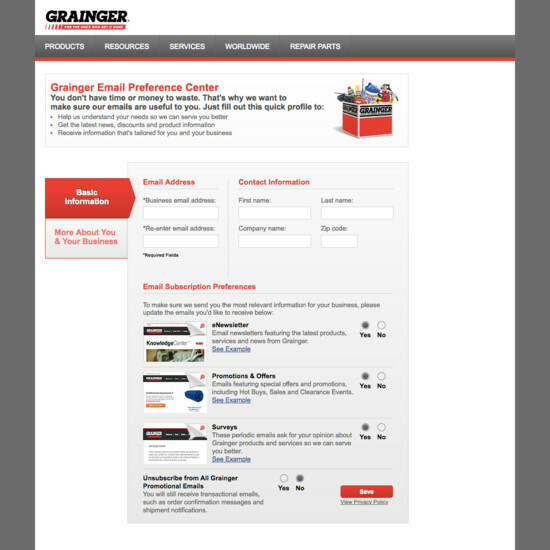 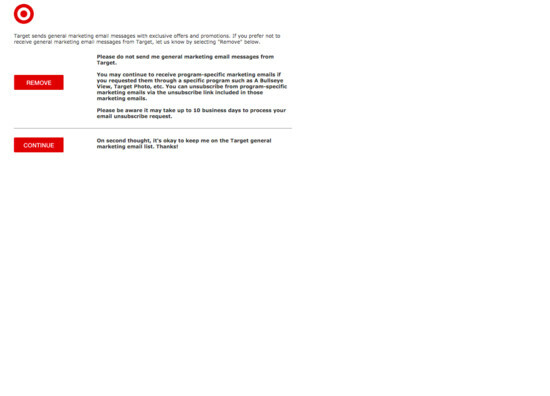 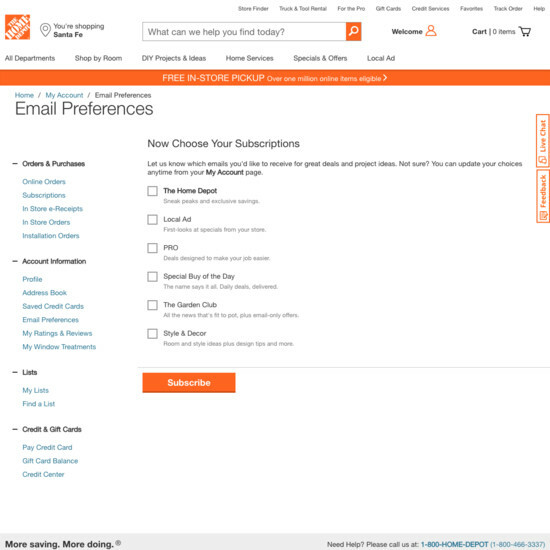 Newsletters are still the main way most e-commerce sites communicate with users on a regular basis. 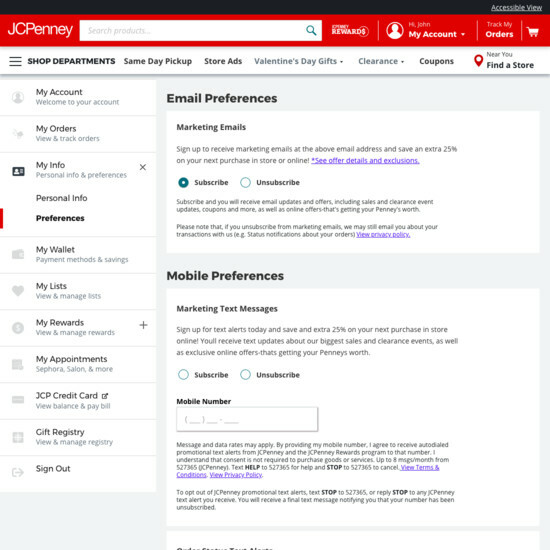 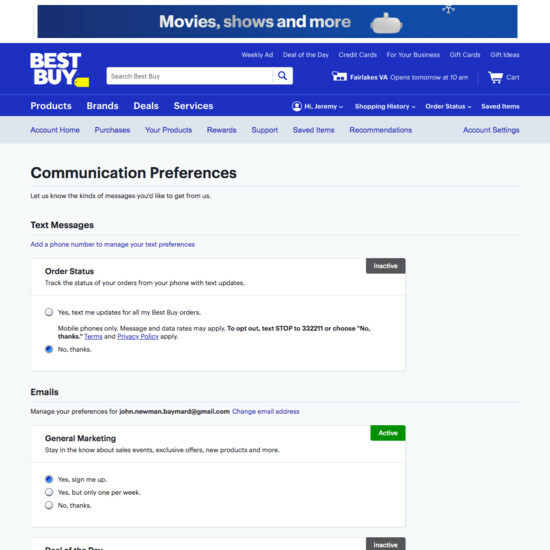 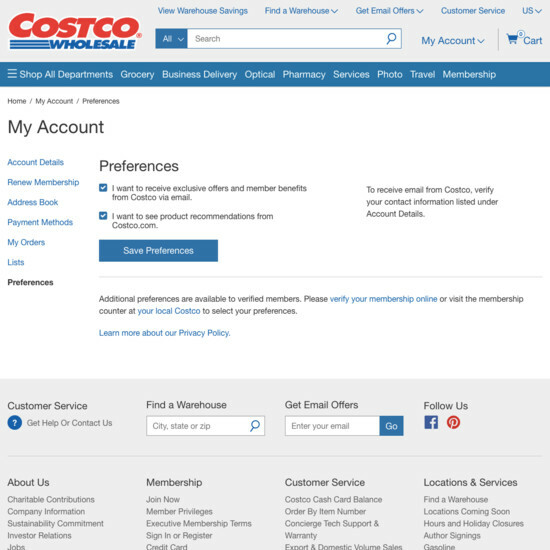 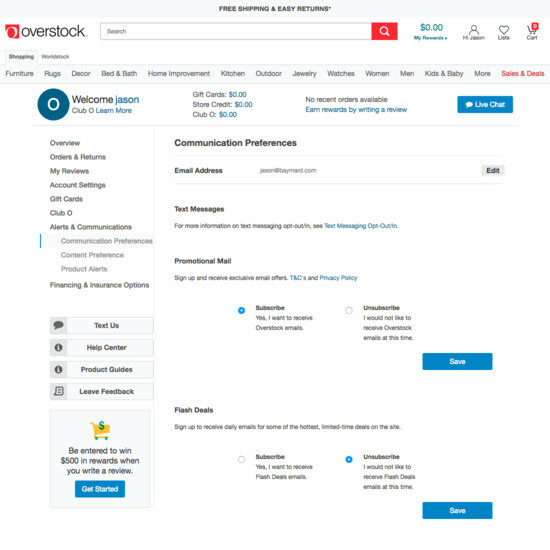 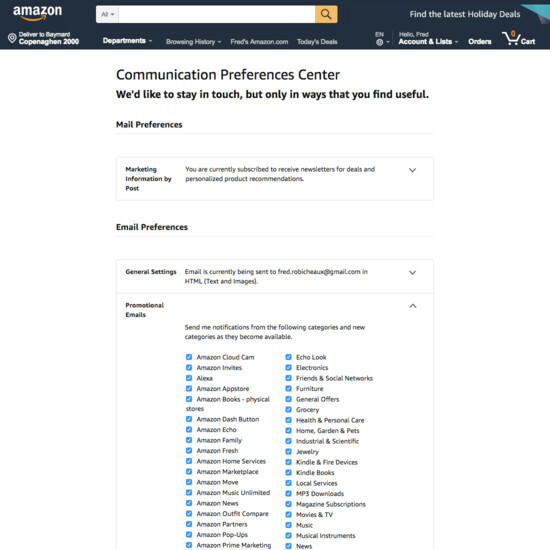 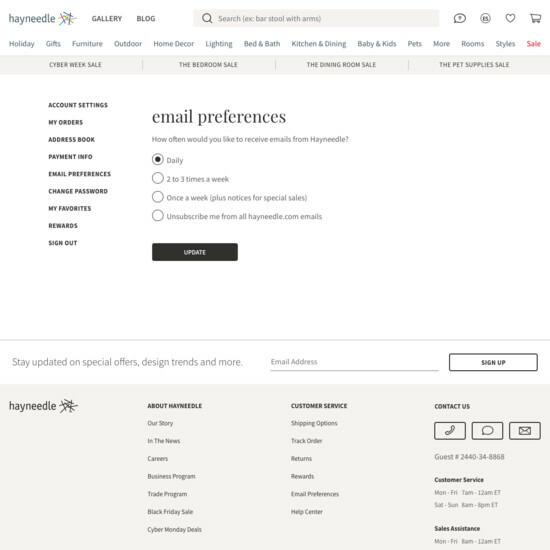 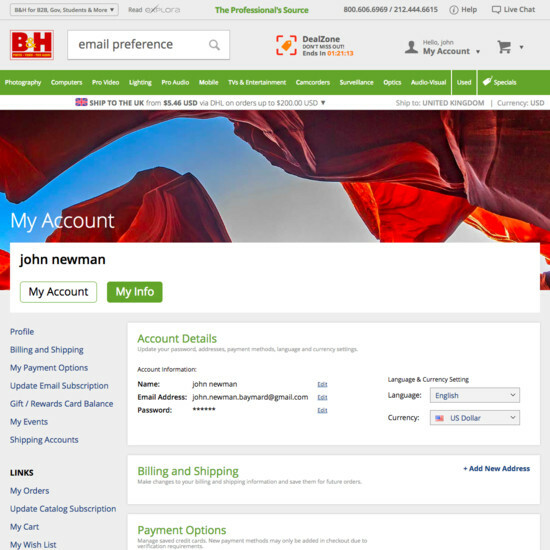 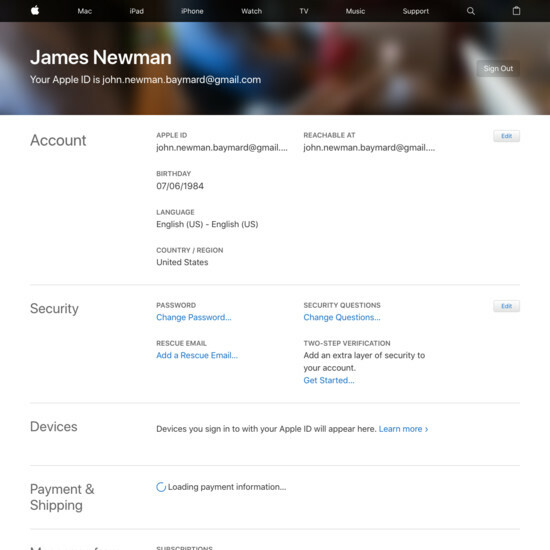 Yet, our large-scale usability testing of Accounts & Self-Service features revealed that many e-commerce sites have sub-standard newsletter management features. 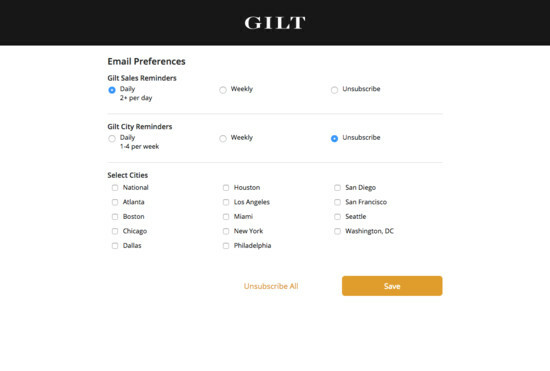 To take just one example, we’ve found that the second-most common reason why users unsubscribe from newsletters is because they get too many from a specific e-commerce site. 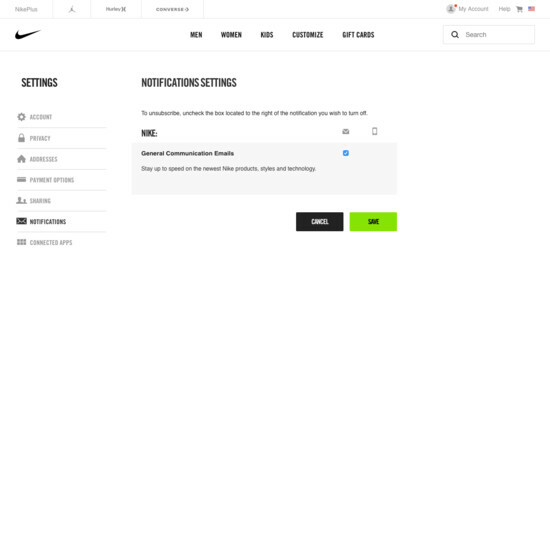 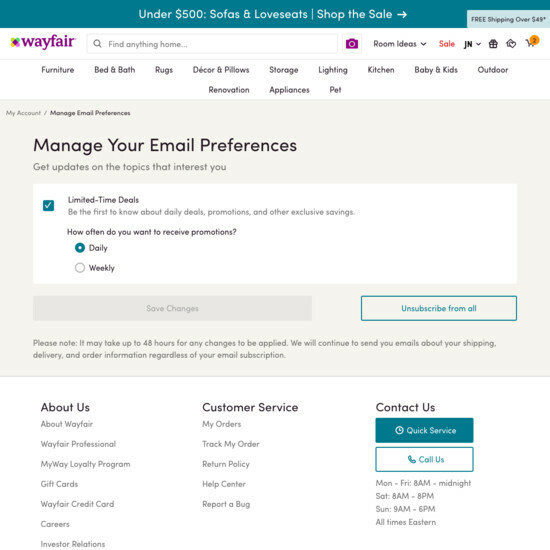 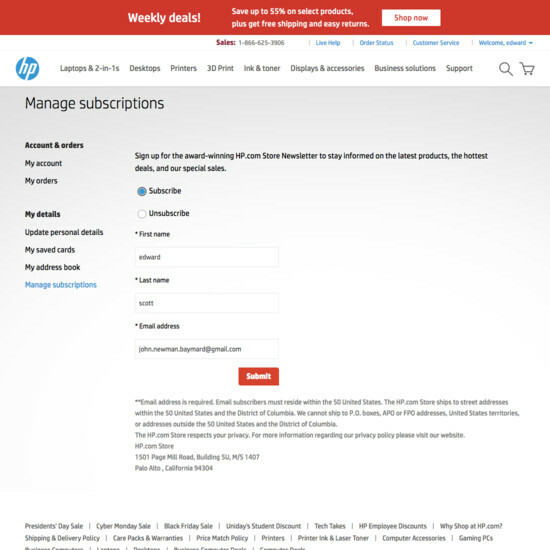 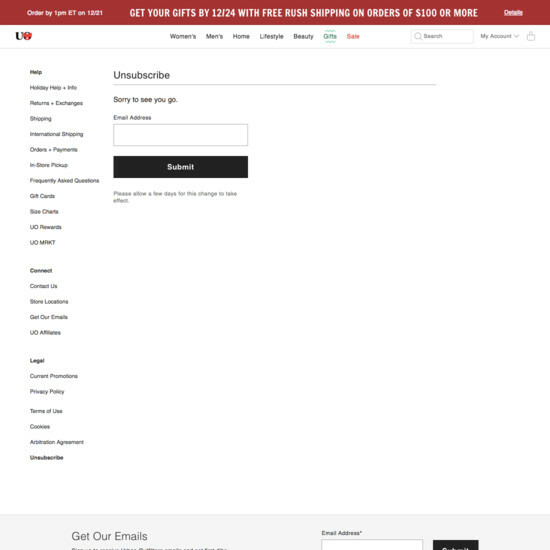 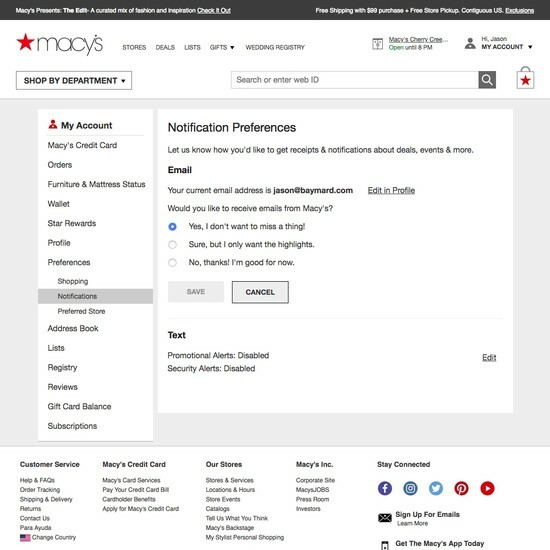 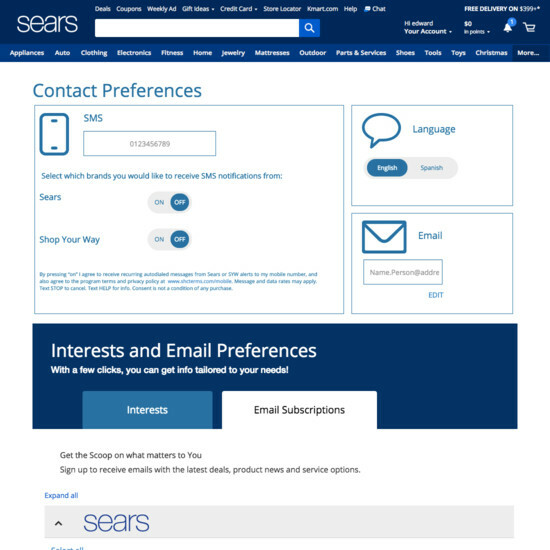 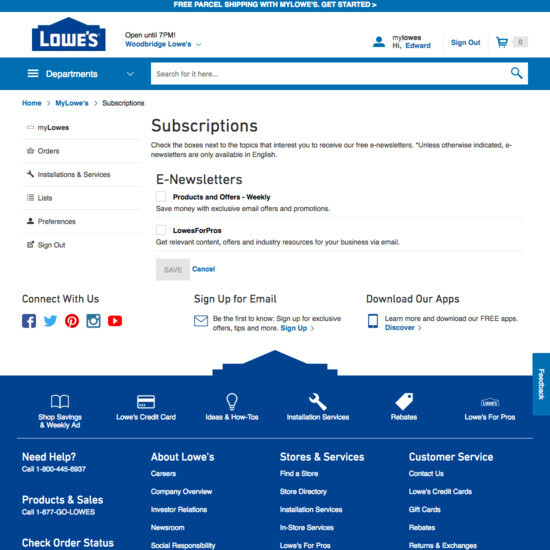 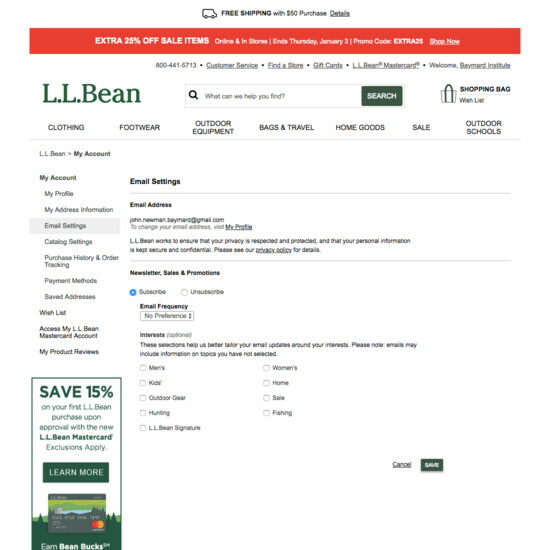 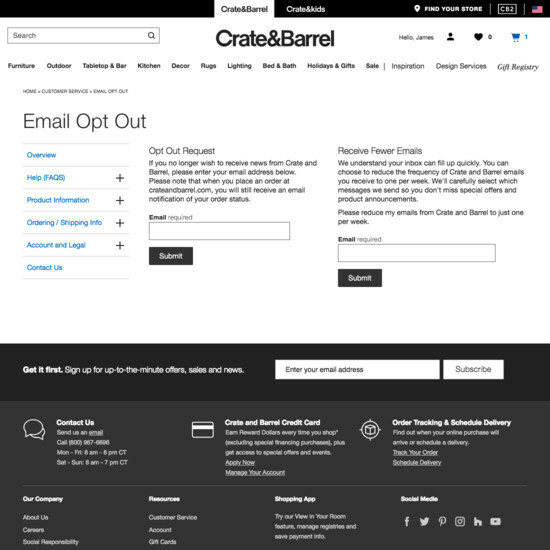 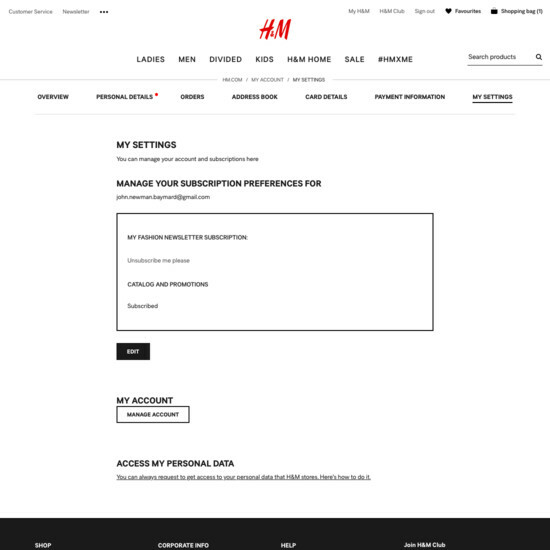 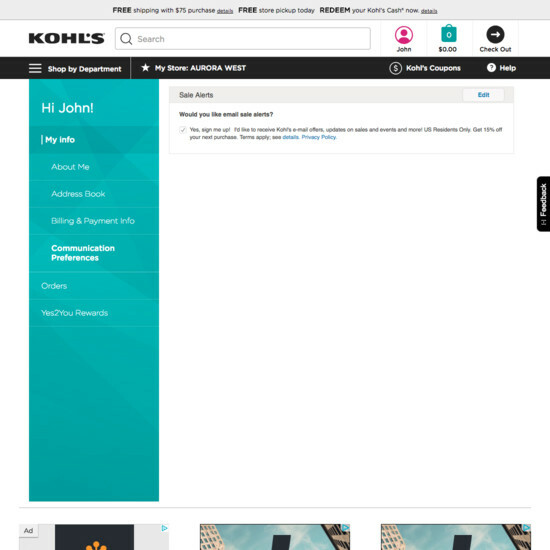 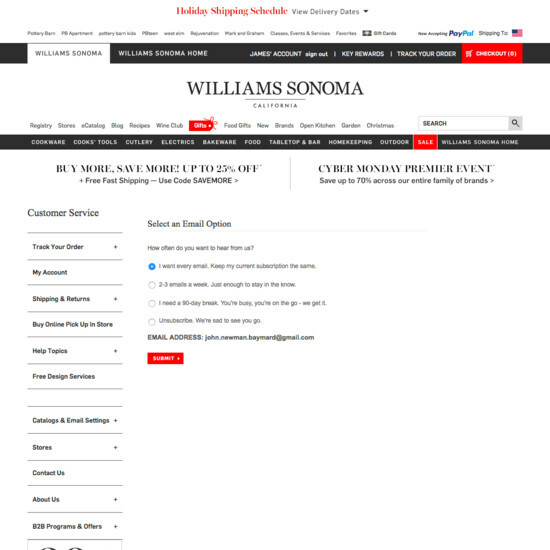 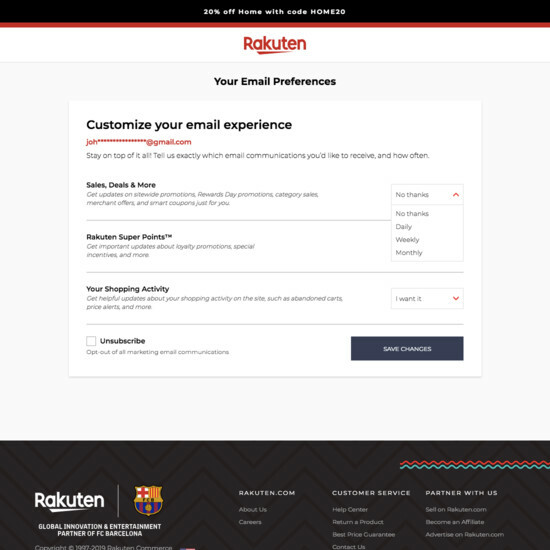 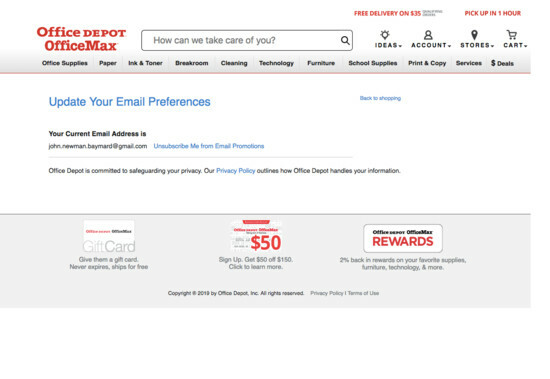 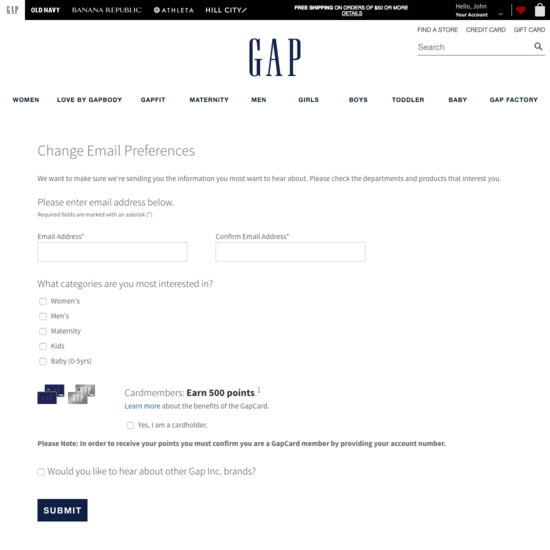 At the same time our testing reveal that many e-commerce sites don’t even allow users to adjust how frequently they want to receive newsletters — forcing many users to simply unsubscribe entirely form the site’s newsletters. 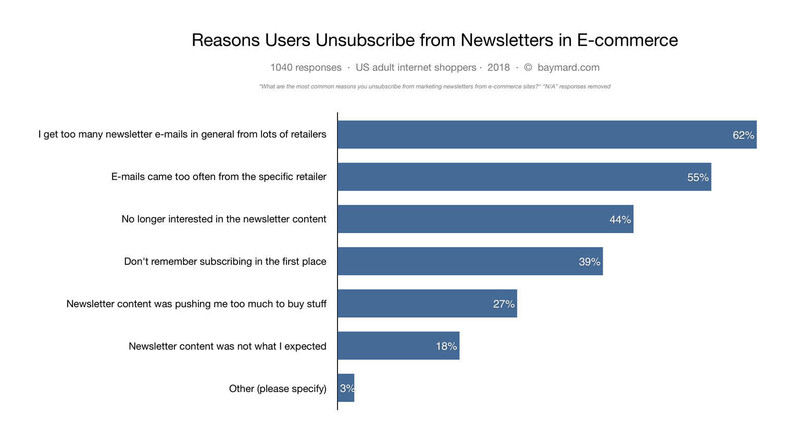 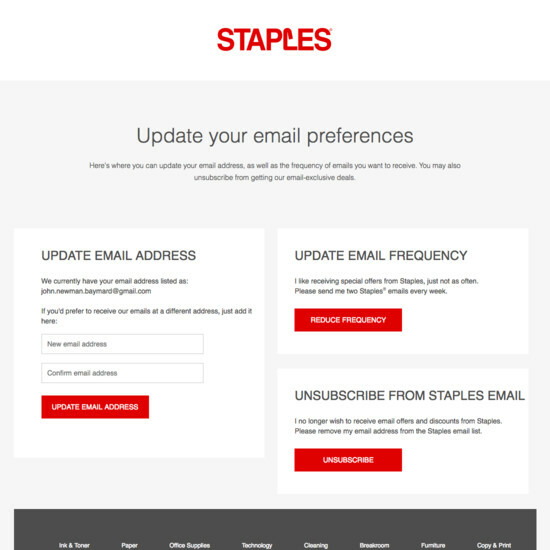 Our quantitative study of why users choose to unsubscribe from e-commerce newsletters. 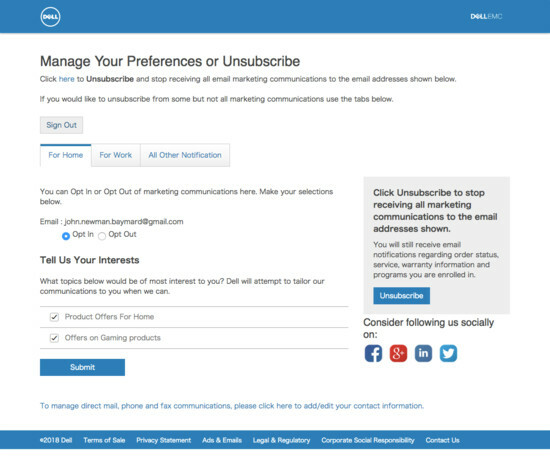 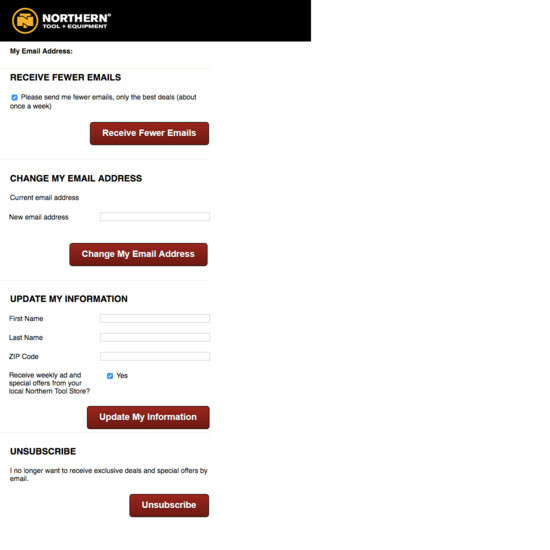 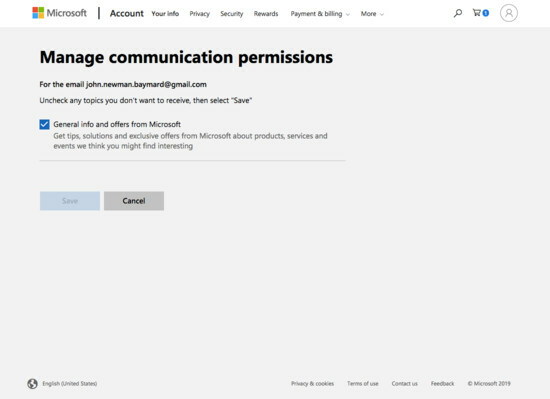 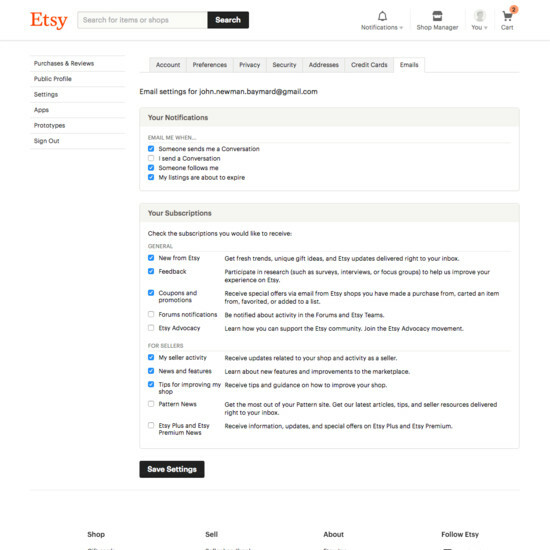 We also observe that the online newsletter management interface often fail to use recognizable terminology to make it easy for users to locate and understand their newsletter subscriptions, along with often suffering from issues related to how users actually “Apply” changes to their newsletter setting. 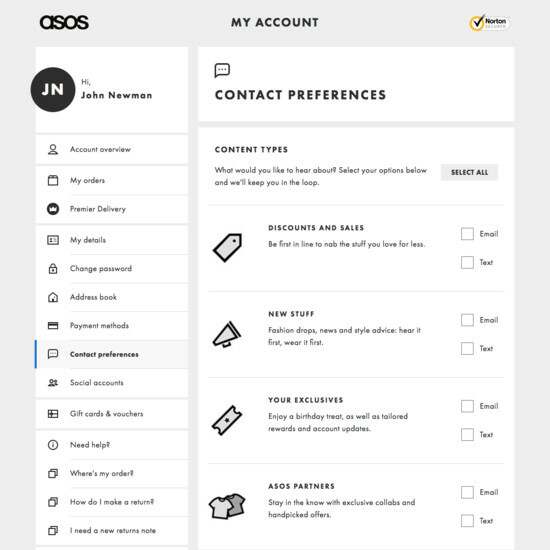 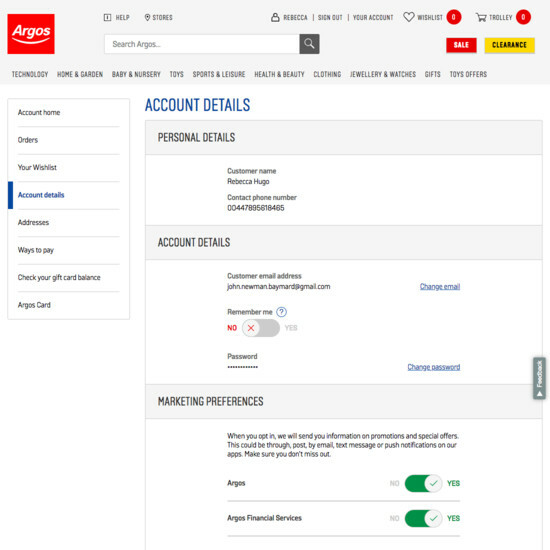 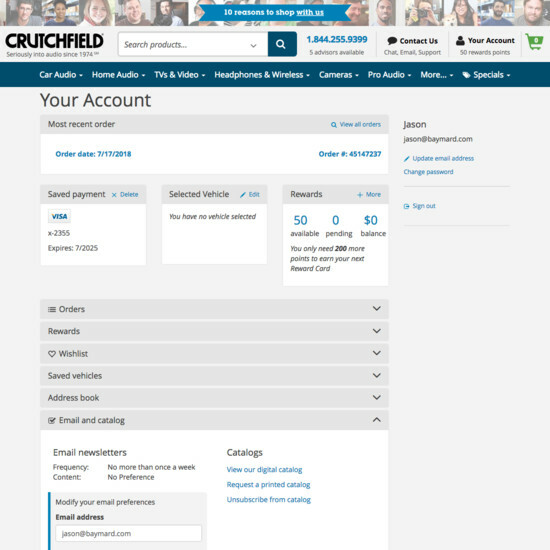 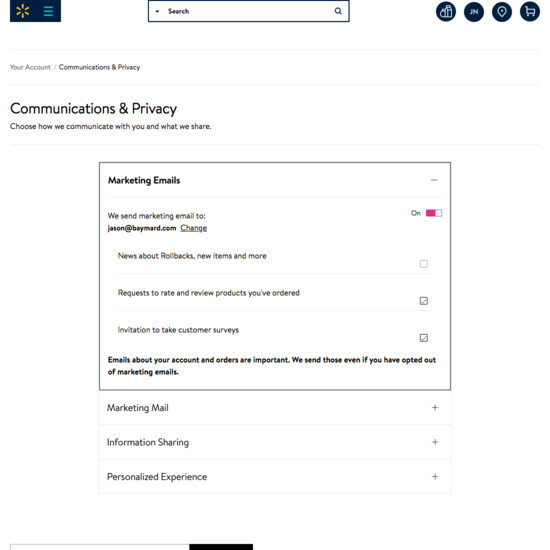 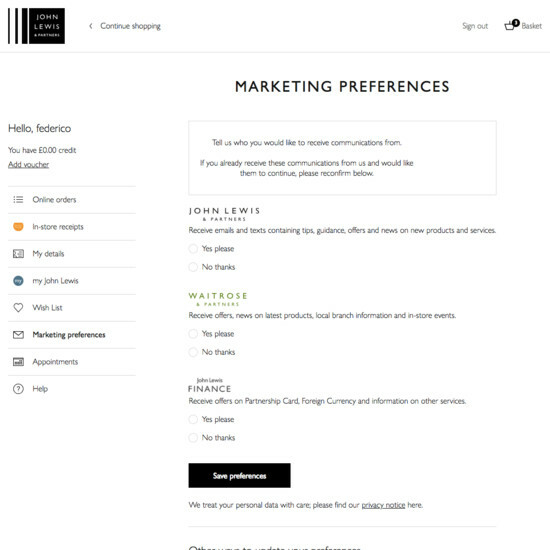 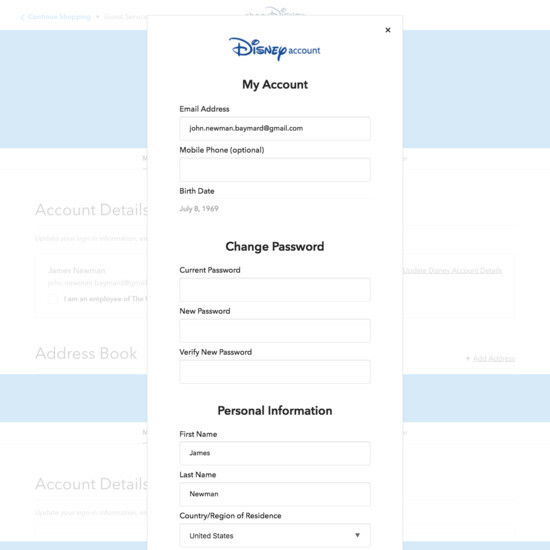 Learn More: Besides exploring the 40 “Newsletter Management” design examples below, you may also want to read our related article on New Research Findings on ‘Accounts & Self-Service’ UX”.